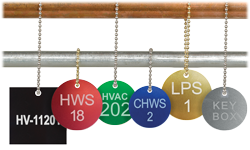 For instances where ready to ship valve tags don’t suit your exact needs, PipeMarker.com offers an easy to use customization tool to quickly design your own valve tags, including Custom Brass Valve Tags and Custom Engraved Valve Tags. 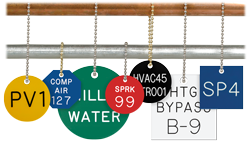 Manufactured from durable materials, your new valve tags will last for years to come. Choose from a variety of shapes, sizes, and marking options such as stamping, engraving, or laser etching.